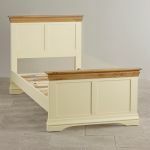 Elegant and effortlessly stylish, the Country Cottage Natural Oak and Painted Single Bed will make a wonderful addition to your guest room. Inspired by a classic French design, the bed features gently flared corners, a panelled head and footboard and stylishly curved feet. 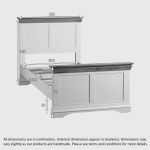 The cream painted finish contrasts beautifully with the natural solid oak tops, which are treated with only a simple coating of clear wax polish to enhance the grain. 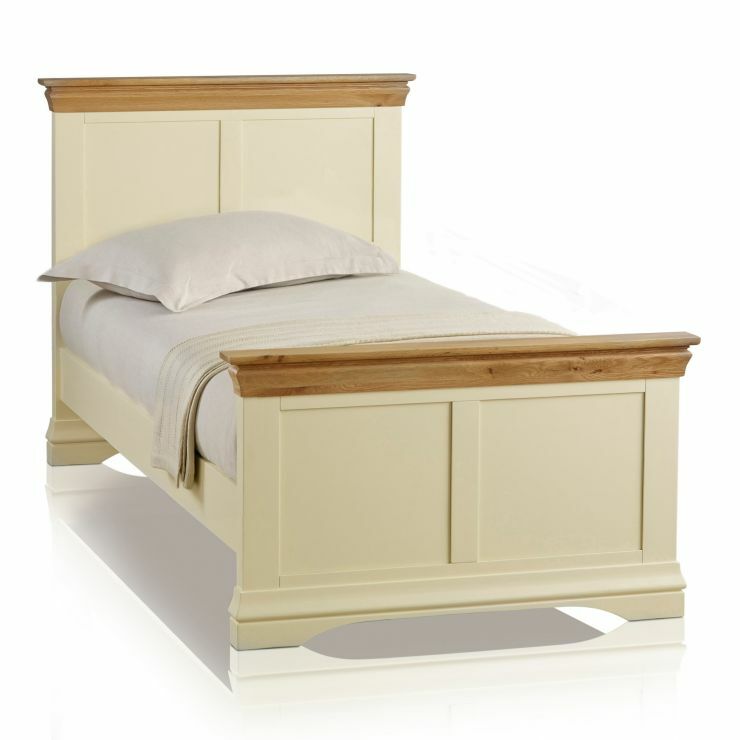 Ideal when paired with one of our quality single mattresses, this elegant bedstead will make a great centrepiece for any bedroom. 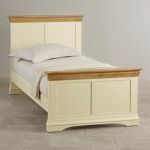 Or for extra impact, why not match this bed with the Country Cottage Painted wardrobe or 3+2 drawer chest.